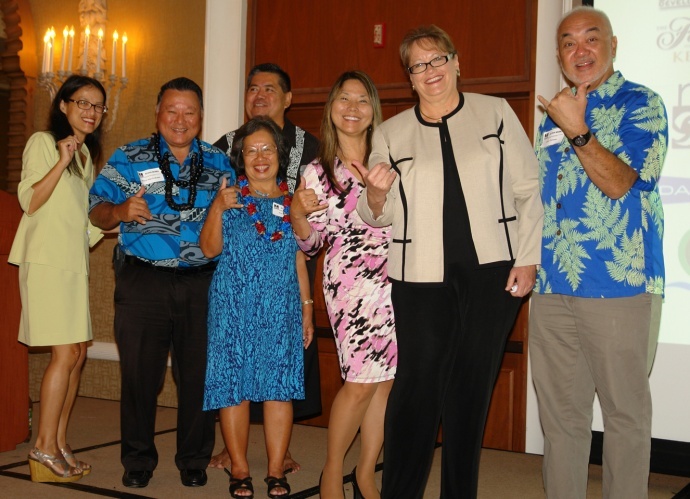 (Left to right) Grace Fung, Mayor Alan Arakawa and wife, Ann, David Kapaku (back), Karen Arakawa, Teena Rasmussen and John Hau‘oli Tomoso. Photo courtesy 2015 Maui Small Business Week. As part of last week’s National Small Business Week, which was held from May 4 through 8, Maui County celebrated the contributions and achievements of local small businesses and entrepreneurs for a second consecutive year. The week-long series of seminars and workshops were presented with content designed to inspire, educate and connect the local business community. 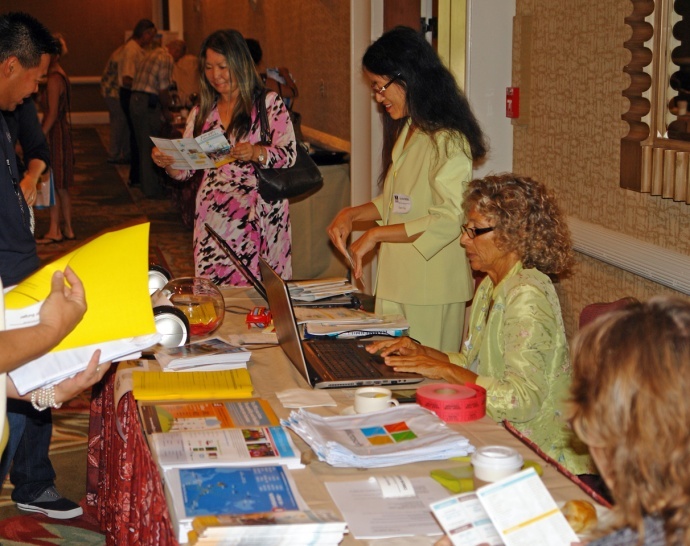 Every session over the five-day event was offered at no cost to Maui business community. Due to the success and popularity of the Maui Small Business Week efforts, awareness and interest in this national celebration is growing in other parts of the state. 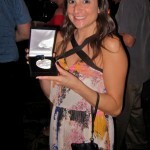 With help from Maui SBW organizers, Oʻahu kicked off its first Small Business Week this year (www.oahubusinessweek.org). 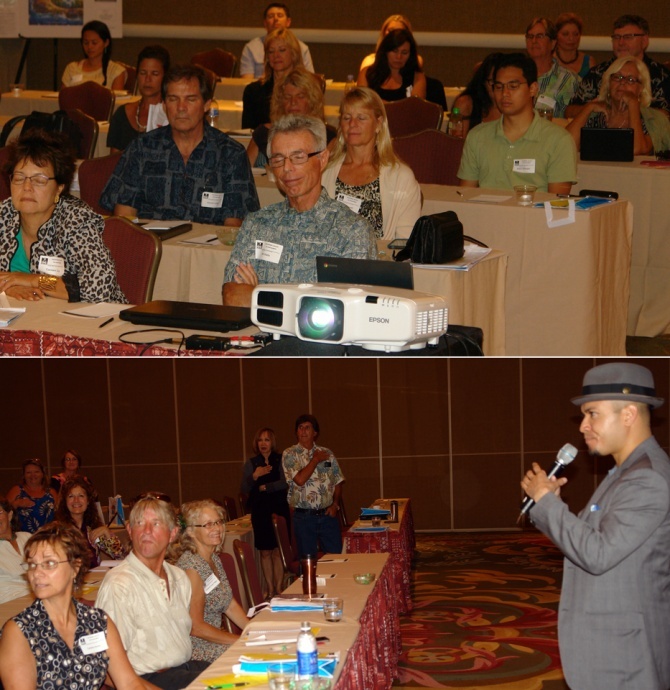 On this year’s opening day, attendees were treated to how “Aloha Works” in business with hosts David Kapaku and John Hau‘oli Tomoso. “It was a rich session on Hawaiian values in business and how it makes us unique in the business world,” said Maui Business Brainstormer and Maui SBW organizer Grace Fung. 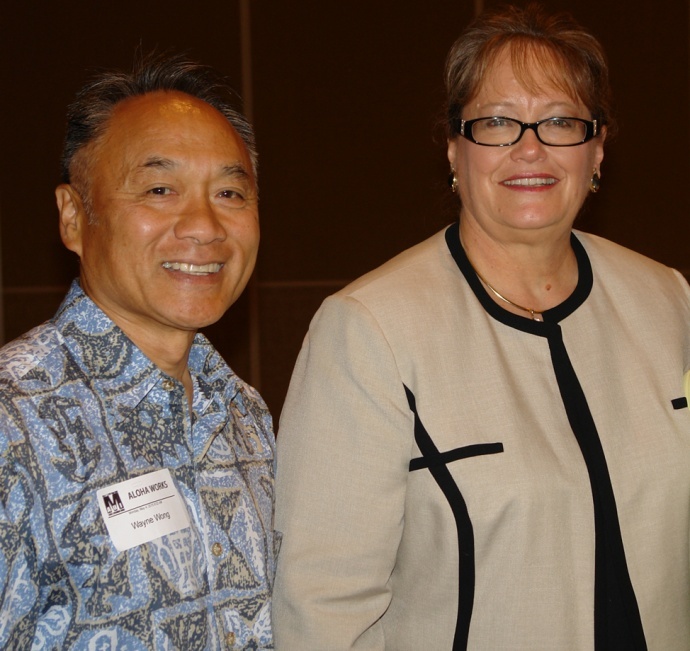 Maui OED Director Teena Rasmussen and MCBRC Manager Karen Arakawa further reinforced the county’s support by providing on-stage encouragement for local entrepreneurs and small businesses. Gov. 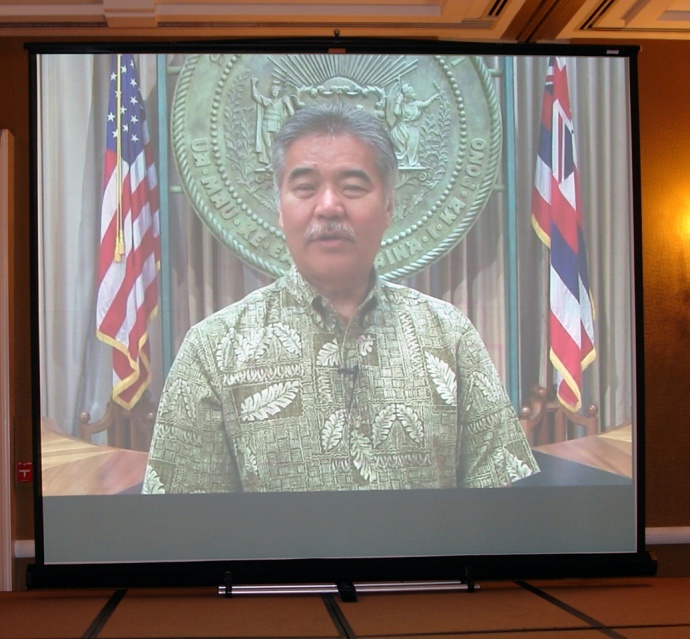 David Ige provided support via a one-minute video. The remainder of Small Business Week continued to expose attendees to valuable information and actionable “what, how, when” tips to take home and apply to their business. They learned how to significantly increase their memory capabilities as a valuable personal tool; best practices in online and email marketing; tips for social media; making a business plan, their best ally; how to attract money; get the clients; pricing strategies without guilt nor regret; intellectual property; creating an effective tag line backed by a sound mission statement and an elevator pitch to market more effectively, clearly and succinctly. A survey indicated that the majority of attendees were please and surprised with the excellence in topics, content and quality of speakers, said Wong. 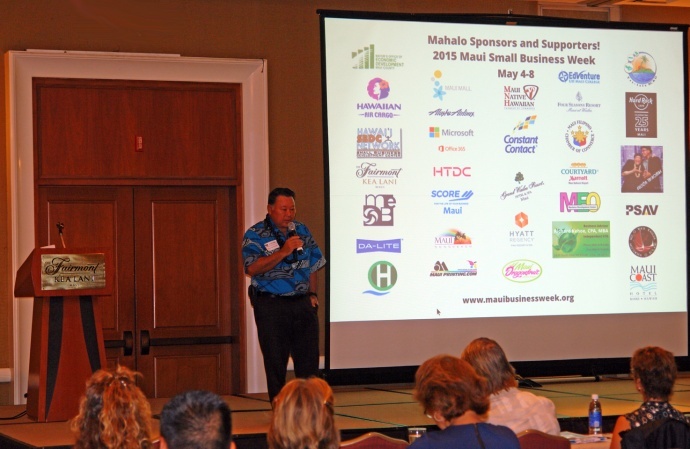 “With this year’s additional supporters and sponsors, Maui Small Business Week doubled in size its second year,” said Fung. 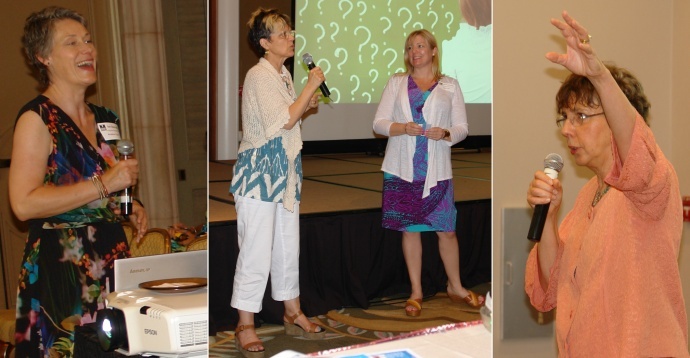 “With 13 sessions at various venues across the island, the program increased not only in number of offerings, but in quality of the programs with more relevant topics, more valuable content and top-notch expert speakers. This 2nd Annual Maui Small Business Week (www.mauibusinessweek.org) surpassed last year’s groundbreaking success due to the overwhelming support of groups of local entrepreneurs and professionals, and with the support of agencies such as the Maui County Office of Economic Development, EdVenture at UH Maui, Hawaiʻi Small Business Development Center, High Technology Development Corporation, MEO Business Development Center, SCORE Maui, MEDB, Chamber of Commerce Hawaiʻi, Maui Native Hawaiian Chamber of Commerce and Maui Filipino Chamber of Commerce. 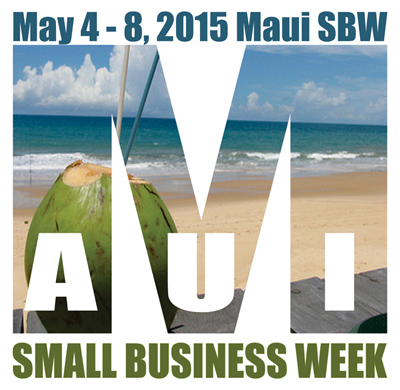 The Third Annual Maui Small Business Week is scheduled for May 9 to 13, 2016. “Yes, we will definitely make it happen again, said Fung. “We have already strong and successful businesses lining up with their sponsorship for next year. Maui SBW program. Photo courtesy 2015 Maui Small Business Week. “Aloha Works” hosts John Hau‘oli Tomoso and David “Kahu” Kapaku. Photo courtesy 2015 Maui Small Business Week. 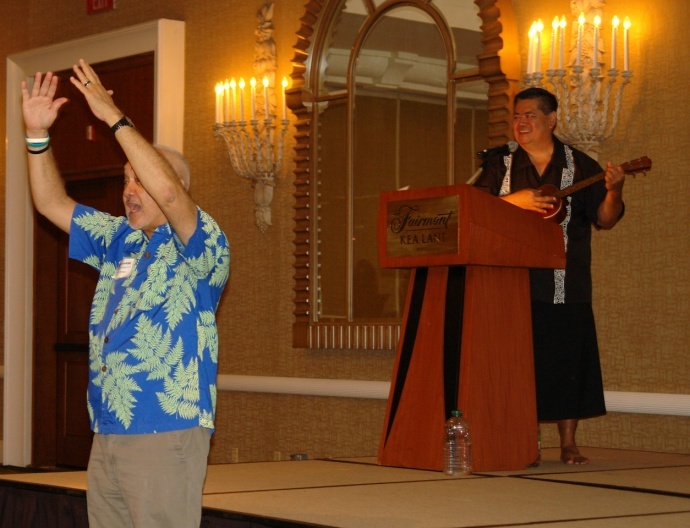 Warming up the audience for the five-day week of 2015 Maui SBW. Photo courtesy 2015 Maui Small Business Week. Photo courtesy 2015 Maui Small Business Week. Maui Mayor Alan Arakawa addressing the audience. Photo courtesy 2015 Maui Small Business Week. 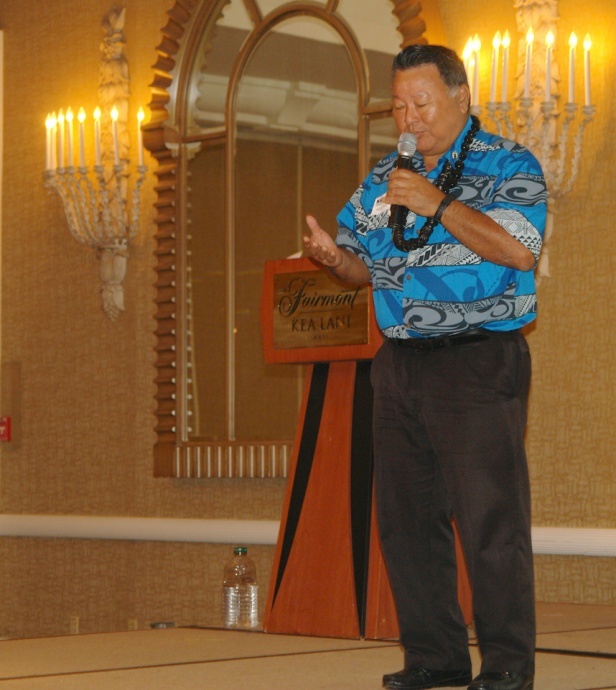 Maui Mayor Alan Arakawa delighted the attendees with an inspiring, improvised speech, validating the hosts’ presentation on “Aloha Works.” Photo courtesy 2015 Maui Small Business Week. 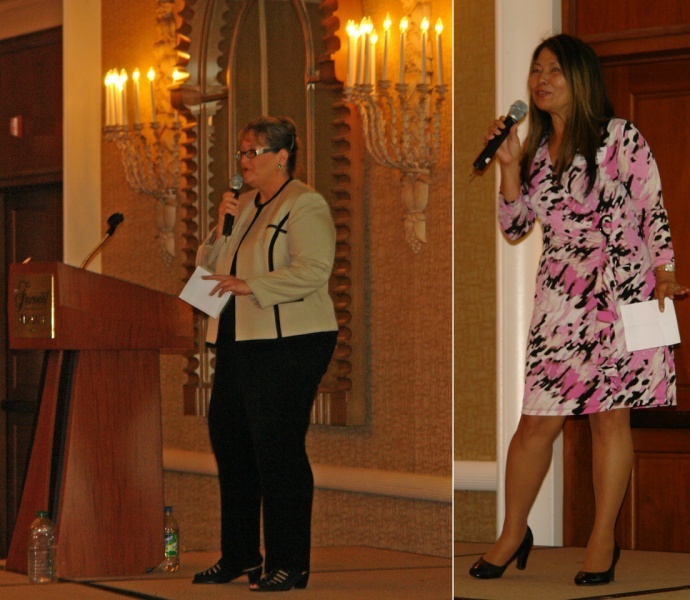 Maui OED Director Teena Rasmussen and MCBRC manager Karen Arakawa further reinforced the county’s support by taking the stage and providing encouragement for local entrepreneurs and small businesses. Photo courtesy 2015 Maui Small Business Week. Gov. David Ige provided support via video. Photo courtesy 2015 Maui Small Business Week. Maui SBW Organizer Wayne Wong and Maui OED Director Teena Rasmussen. Photo courtesy 2015 Maui Small Business Week. Maui SBW session on memory with guest presenter Chester Santos. Photo courtesy 2015 Maui Small Business Week. 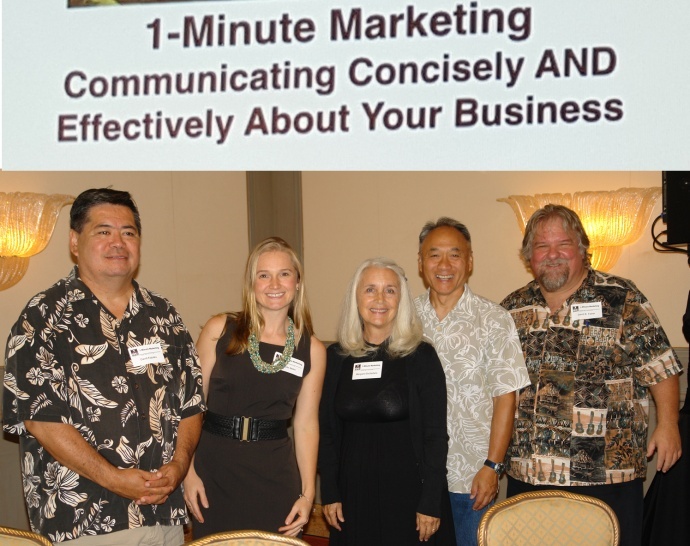 Maui SBW session on tag lines (left to right) included guest panelists David Kapaku, Danielle Miller, Margaret DeStefano, Wayne Wong and guest presenter David B. Fisher. Photo courtesy 2015 Maui Small Business Week. 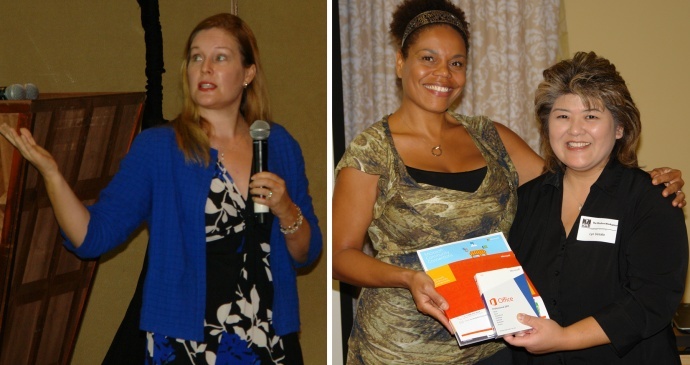 Maui SBW Guest Presenters (left to right) Kristine Carey, Elyse Tager, Kelly Flint and Shannon Presson. Photo courtesy 2015 Maui Small Business Week. 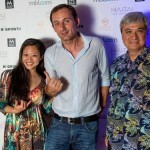 Maui SBW Guest Presenters (left to right) Daniel Chun, Frances Bellows and Craig Swift. Photo courtesy 2015 Maui Small Business Week. Maui SBW Guest Presenters (left to right) Kristin Holland, attendee and door prize winner Melissa Sutor and Guest Presenter Lyn Uesato. 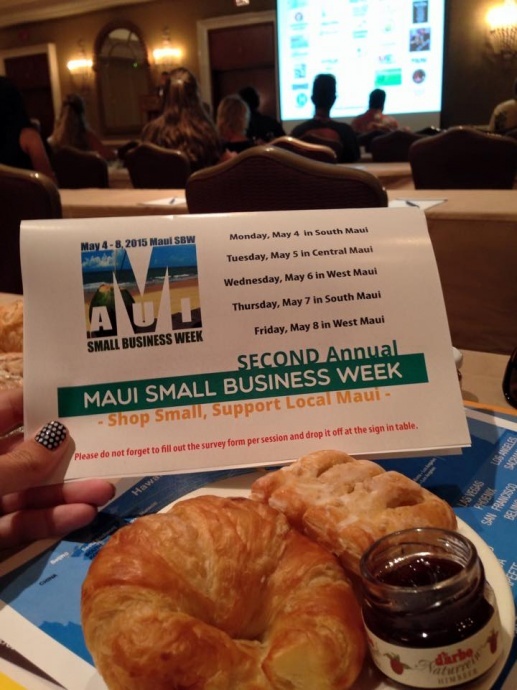 Photo courtesy 2015 Maui Small Business Week. Graphic courtesy of Maui Small Business Week.